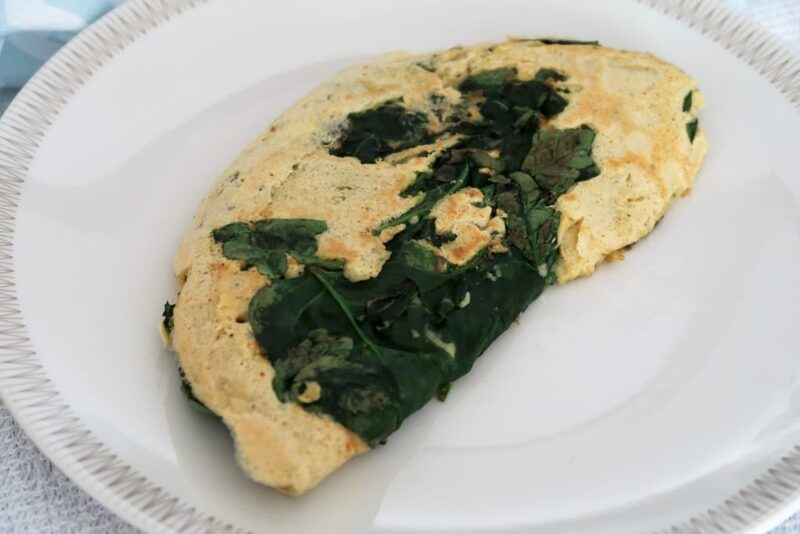 This is a great vegan alternative of an egg omelette. It’s quick & simple with under 5 minutes of prep and only 7-8 minutes of cooking time. 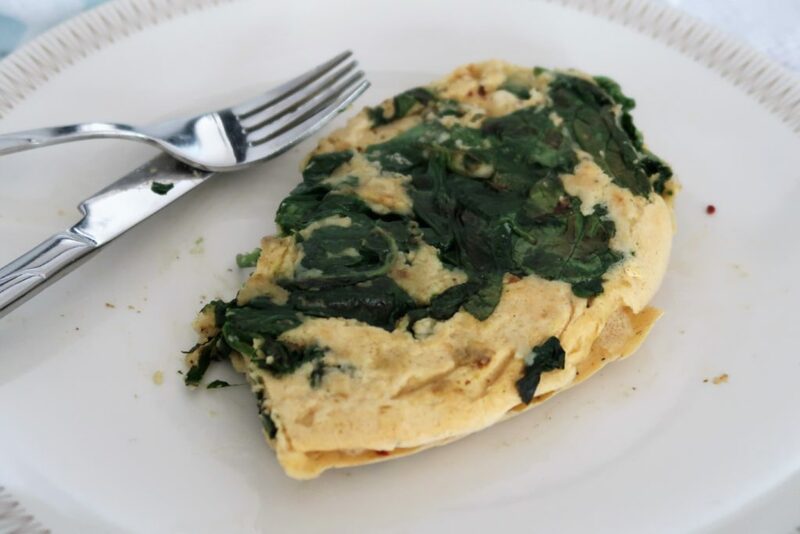 Plus, it contains a whopping 17g of protein and only 303 calories per portion. 1 Wisk gram flour, salt, cracked black pepper, chilli flakes and almond milk in a bowl until it become a smooth batter. Then leave to stand for one minute. 2 Spray the oil in a cold frying pan before placing it on a medium heat. 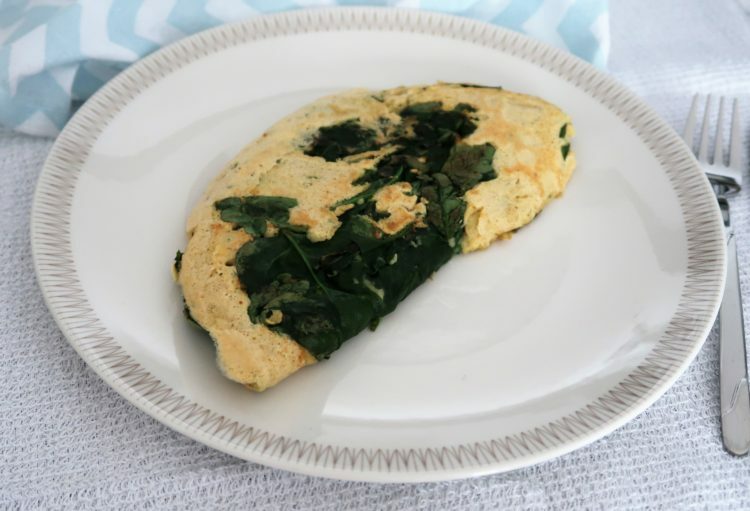 When the frying pan is heated add the spinach and cook until it becomes slightly wilted. 3 Then add the batter pouring it all over the spinach. Move the batter around the frying pan to insure the batter is touching bottom of the frying pan beyond the spinach. 4 Leave to cook on a medium-low heat for around 5 minutes, then flip half of the omelette onto the other half and leave to cook for 1 minute before flipping it onto the other half and cooking for another minute. 5 Then its ready to serve and enjoy!